Well after getting up at 6:30am and looking out of the window at the deluge of rain I honestly thought that the National Meet would quiet literally be a washout. 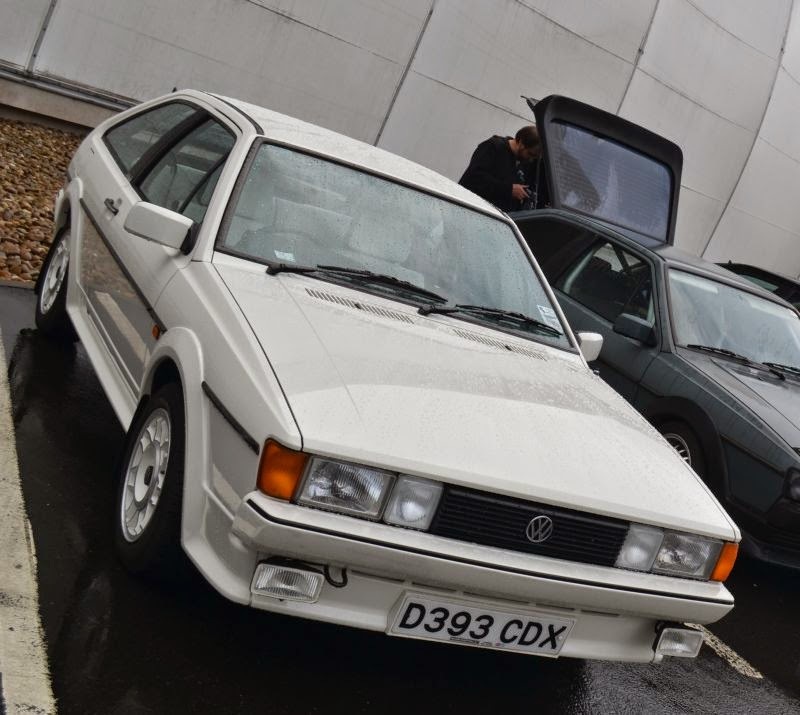 How wrong was I, the members of the Scirocco Register (a club now help run) came out in force despite the weather. The weather did mean the usual mass convoy from Telford services, where 25 or so cars had met, had to be dropped due to the torrential rain. However that didn’t stop people in being in great spirits. Cars had travelled from as far away as Aberdeen and Holland to attend this biggest mass meeting of Scirocco’s. In total 53 had made it to RAF Cosford, who knows how many it would have been if the weather had been better. With representation of all 3 models and a great mix of daily, modified and stripped out track machines, there was something for everyone. Thankfully the rain stopped and the sun came out by lunch which allowed for lots of chatting, catching up, meeting new people and selling of parts!!!!! Everything you’d expect when 70 or so people with a similar passion get together. Another great day with a fantastic bunch of people that went way quickly. To top it all off the club raised £125 for their chosen charity Macmillan Cancer Support. Already looking forward to next years.